Partnering with a knowledgeable agent is crucial when shopping for new construction, and is here to help you navigate through your options in the Navarre area. In real estate, you can always negotiate. 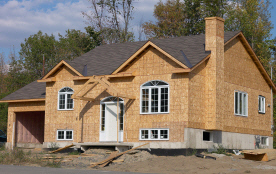 However, with new construction, it depends on the developer and the length of time that the home has been vacant. Developers in new additions avoid bending on price because homeowners already in the area expect new construction to be comparably priced to what they already purchased. (You'll appreciate that same courtesy if there are undeveloped lots near the home you eventually purchase!) But, depending on how far along the project is and the local market, a builder will often allow a few concessions. In cases where a builder won't budge, try getting a break with other aspects of the transaction. Ask for them to pay a share of the closing costs, or extra amenities, like an allowance for window treatments, a garage door opener, a fence or landscaping, or an extended home warranty.Or take the contrary route. If a home is nearing completion, you can often save money by passing on suggested upgrades from the builder and installing things yourself. While you should always negotiate a home warranty so problems can be fixed, it's also imperative you get a home inspection before closing. Inevitable problems can be repaired (by the builder) before you move in and larger problems identified before they become your problem. Since an inspection is relatively inexpensive, some new home buyers get an inspection after being in the home for 10 or 11 months - that way, the builder can make the repairs before a 1 year warranty expires. Here at Realty Associates of Santa Rosa, we have an amazing partnership with Timberland Contractors, LLC. Together, with Fountain Design Build, we have helped so many people create and construct homes that will forever hold their precious memories. Finding you a new home that meets your family's needs and matches your budget will be our #1 goal. Give us a call at (850) 259-4782 to start the search for your new home today.